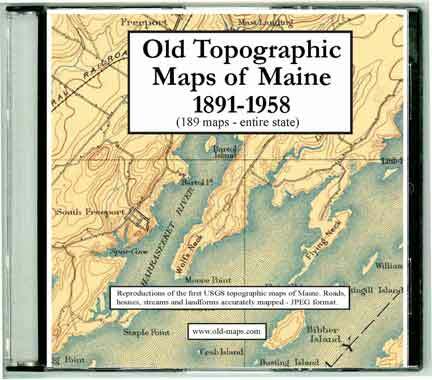 Here you can view all the old Maine USGS Topo maps and purchase prints and high quality scans. These maps are valuable today for their charm and historic information like the locations of old roads, house sites and place names. 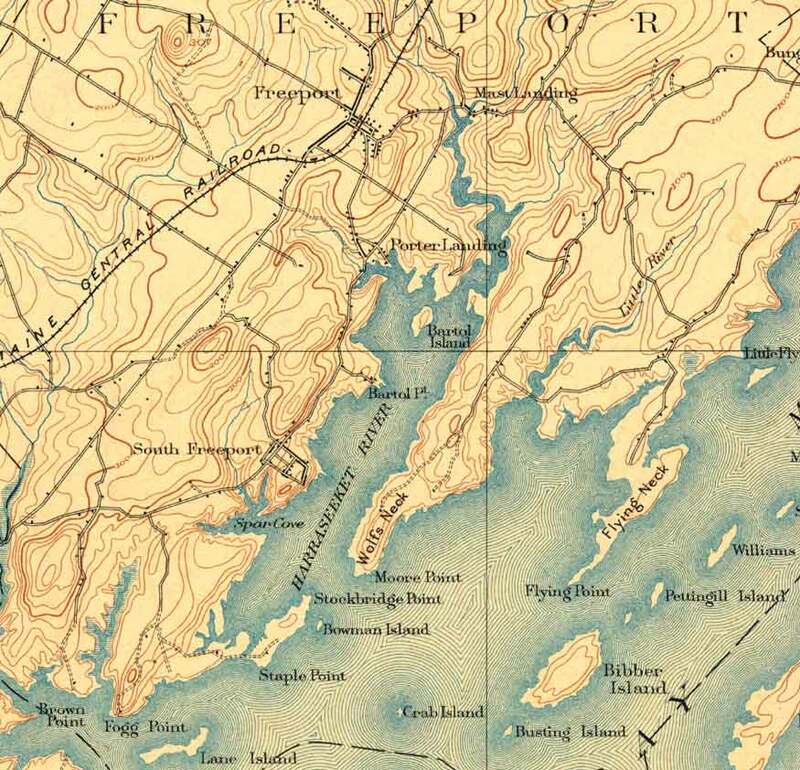 Here are excerpts from the Freeport 1906 map. We have assembled all 182 maps in one easy to use location. The old topos each cover an area of about 6 x 9 miles (15' of latitude and longitude). Most are quite attractive, in part because they are less detailed than the modern USGS maps. Our goal here is to assemble all the maps in one easy-to access location, and to offer the oldest versions of each map we could find*. 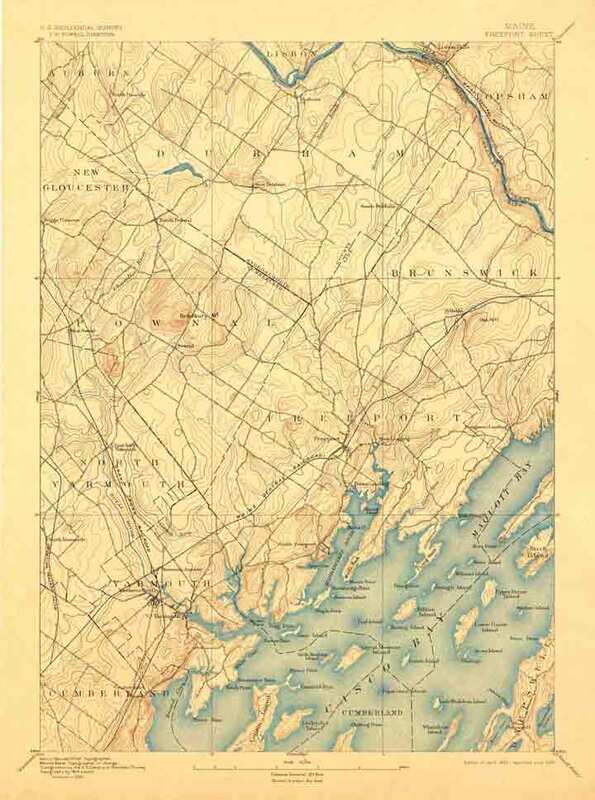 * Our source for these maps is the USGS web site, which, as of 2013, has all of the Maine USGS maps on-line. On our site access is much easier. And we provide a simple Index Map to all the Maine "quads". 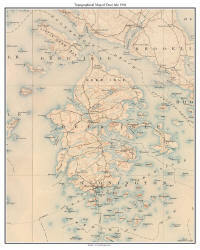 Also, we have "cleaned up" the maps by removing accession stamps and other flaws so they will make better looking prints.